Perhaps it's because we live in a such a complex time and place, that we just naturally gravitate toward simple things. And in the world of classic cars, that's the air-cooled Volkswagen Beetle. The original Beetle concept was one of practicality. Starting with a platform frame using a central structural tunnel, the rear-mounted engine bolted directly to the trans-axle, eliminating the need for a driveshaft or U-joints. Having an air-cooled engine eliminated the need for a water pump, radiator, thermostat, or coolant hoses. The body attaches to the chassis with eighteen bolts. Aside from being simple, there are plenty of other reasons to restore an old Beetle - they're affordable, reliable, easy to work on, and you can build them dozens of different ways. During the air-cooled Beetle's 65-year production run, more than 21 million were built world-wide. Every year air-cooled Bug has their good points and bad points. The rarest and most desirable are the early models with split rear windows. 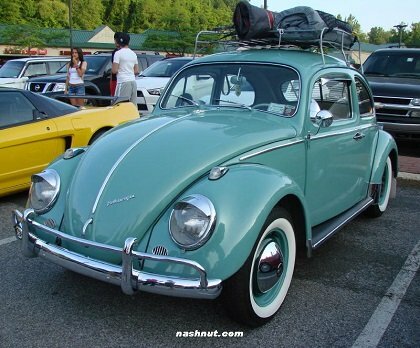 Volkswagen changed from the split windows to a small oval window midway in 1953. The small window and split-window Beetles are much less common than the later, large rear window Beetles that followed. Parts for these early cars can be hard to find. In 1958, the larger rear window was adapted. This is the more common window, but be aware - back in the day, there were plenty of owners that cut out the small window to fit a later big window. Retrofitting back to the small window is no easy task. It will require a skilled welder and plenty of metal work. In 1966, Volkswagen started switching the original Beetle front suspension from king-pins to ball-joint front ends, giving better handling and a nicer ride. As you may guess, there's purists out there who insist that only the early king-pin equipped Beetles are "true" Beetles. Truth is, even with off-road use (dune buggies), king-pin front ends are very strong and rarely break, but they do require special skills to repair or replace. Lots of major changes on the 1967 models. Engine displacement was enlarged to 1493cc for the U.S. market, and a new dual brake cylinder system was adopted. Other improvements included back-up lights, door lock buttons, and a 12-volt electrical system. Older 6-volt models can be easily converted to a 12-volt system. Up until 1967, all air-cooled Beetles were manual shift. Beginning in 1967 in Europe and 1968 in the United States, an optional semi-automatic transmission was offered. It was marketed as an Automatic Stick Shift, and also referred to as an AutoStick. 1967 was the last year with a metal dash, later models have a plastic dash. Although 1968 was the pinnacle year in terms of sales, many enthusiasts site 1969 as their favorite year Beetle. 1971 and up Beetles were fitted with factory front disc brakes. Earlier models can be converted to front disc, but with some time and expense. 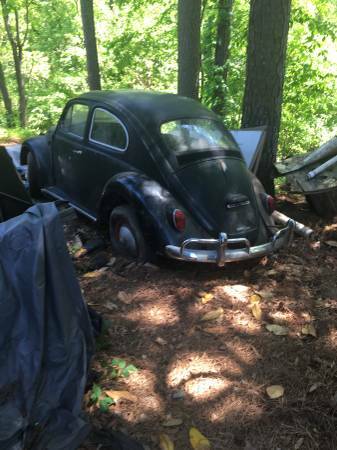 Any later model (post 1971) model will stop and go better than an early Beetle. Since they are always more desirable, any year Beetle ragtop is worth your time. Factory tops were actually pretty good, and featured a glass rear window. Beetle convertibles were made from 1953 to 1979. 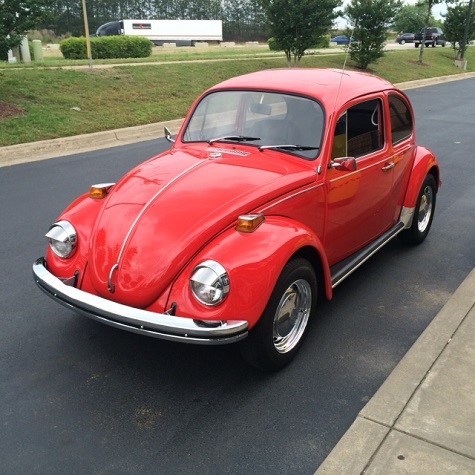 Produced from 1971 to 1979, the Super Beetle had rounder fenders, a larger hood, and a redesigned front valance. Changes were also made to the body and inner fenders to accommodate the mounting of MacPherson front struts. This increased ride quality and improved turning radius at the same time. 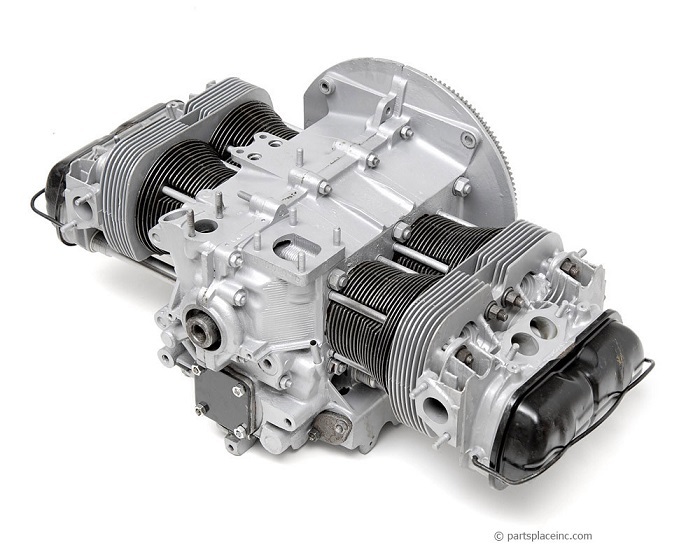 More power was provided by a 1600cc engine with dual port cylinder heads. Additionally, there was a new padded instrument panel. Early Super Beetles had the same windshields as the standard Beetles did. 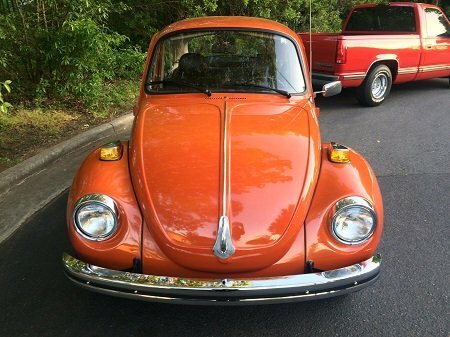 Around 1972/1973, Super Beetles were fitted with a bigger, curved windshield. Since the Super is two inches longer than a standard Beetle, there is more trunk room for luggage or groceries. It also allows the spare tire to lay flat instead of being upright. So, is a Super Beetle always more desirable? Not necessarily. The extra length and weight make Super Beetles better cruisers on the highway, but are not the best choice for a dune buggy platform. You will also find that parts for a standard beetle are easier to come by and cheaper. 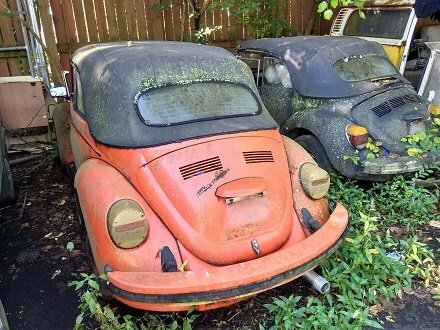 Rust is quite prevalent on air-cooled Beetles. Look everywhere for damage or rust. Replacement body parts are available if needed, although availability isn't the same for all years. 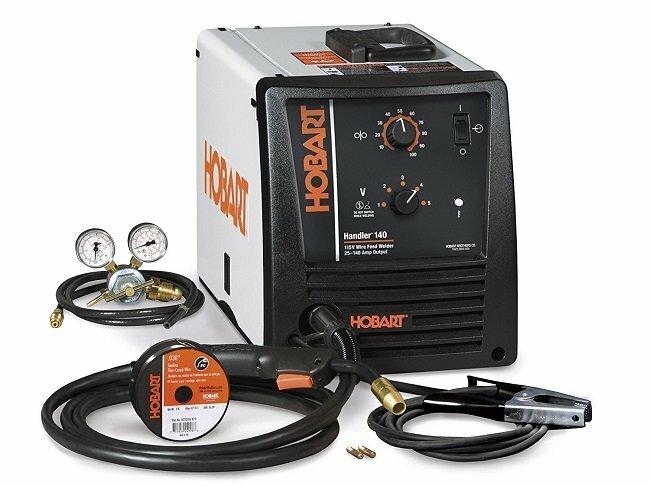 With the exception of doors, fenders, and trunk lids, proper welding techniques are required to repair body panels correctly. Floor Pans - This is a common repair area for many old cars, including old Beetles. Also check under the battery, which is under the rear seat. Frame Head - This is the front of the frame that sits below the gas tank. Any rust or rot here is dangerous, as this is where the front suspension is bolted onto. Heater Channels - This is a common area for rust to form. Look above the jack support of the car and all the way to the front. Rear Cross member - Under the back seat is the rear cross member, this is where the body gets bolted to the chassis. The heater tubes come through here, they run from the engine compartment to the heater channels. This is not always easy to detect as other spots. Firewall - This is the panel that separates the passenger compartment from the front trunk. Rust damage here is most easily seen after the gas tank is removed, but can also be viewed from under the car. Spare Tire Well - If there is a spare tire in the spare tire well, remove it and check for rust underneath. Fenders - All four fenders on vintage Beetles are removed/installed to the body with bolts and a rubber strip. This makes them easy to remove and replace, but it's also another place where dirt can collect and lead to rust. Although Super Beetles have MacPherson struts up front, their frame head is still susceptible to rust. If you're looking at a Super Beetle, carefully check the front strut towers. Hopefully, you have a running, driving car that already has a good engine. If not, some checking is in order. read Does My Engine Need A Rebuild? If you decide to rebuild, engines and related components are basically interchangeable between all year air-cooled Beetles. Engine year and displacement can be found on the engine ID number, located directly under the alternator/generator stand and stamped into the case. Complete replacement engines are also available, but at considerable expense. 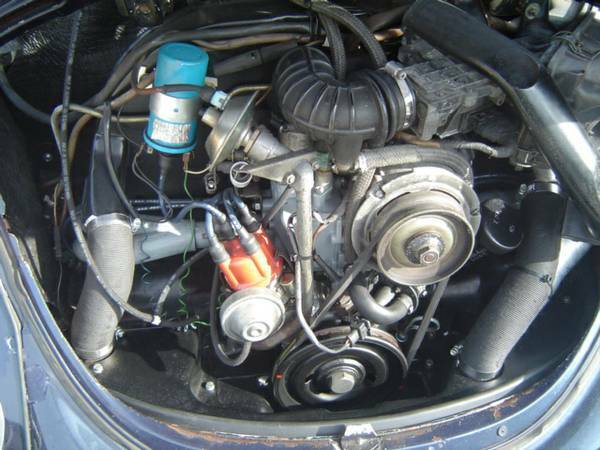 Pictured is a Beetle 1600cc dual port long block, sold by PartsPlaceInc. An air-cooled VW engine is very compact and only weighs about 250 pounds, so removal and installation is much easier than on other cars. On most cars, engine removal is done by pulling it out of the engine bay with an overhead hoist. To remove an air-cooled Beetle engine, the back of the car is lifted up and the engine drops down. There's four main mounting bolts to connect the engine to the transaxle, and a splined shaft from the transaxle that slides into the engine. The lower two engine mounting nuts and bolts are easy to access. The two upper engine mounting nuts and bolts are a little tricky. Having an engine cradle makes removal and installation easier. You can make one out of wood, or fabricate one from an old dolly. 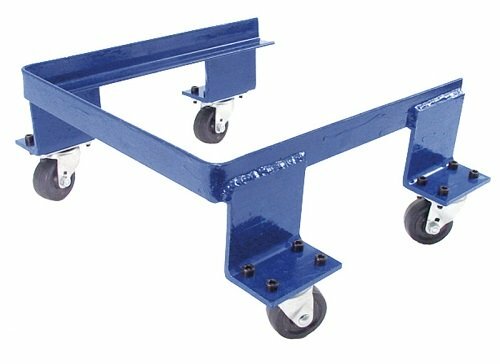 Or just buy a VW engine dolly here. Engine installation is also simple. Without an engine in it, the rear of an old Beetle isn't heavy at all, and can be raised easily. Air-cooled Beetles had four-wheel drum brakes until 1971. Main areas of concern here are soft or spongy brake pedal, and leaking wheel cylinders. Also check the brake fluid for high moisture content, swollen brake hoses, and rusted brake lines. Brake overhauling requires several speciality tools and an evening or two in the garage. For common brake parts needed, great prices can be found on Amazon. A major concern for anyone looking to restore an old car is the availability and quality of replacement parts. 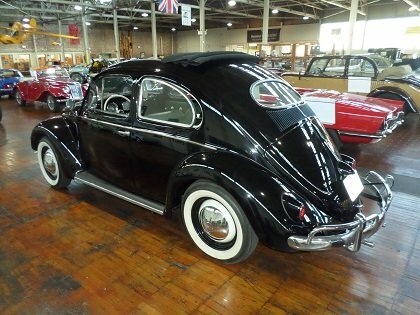 With the air-cooled Beetle being the second highest production in automotive history, original parts are plentiful and aftermarket parts are abundant. However, there's a lot of low quality replacement parts and sometimes it's hard to tell what you're getting. For example, replacement floor pans vary in both accuracy of the stamping and in the gauge of steel used. Front and rear bumpers are frequently needed when restoring an old Beetle. Unfortunately, many aftermarket bumpers you see advertised are made in the Pacific Rim, and their chroming is sub-standard. Buy replacement parts from an established company with a reliable history. Major brands for Volkswagen parts include Mahle, Hella, and EMPI. 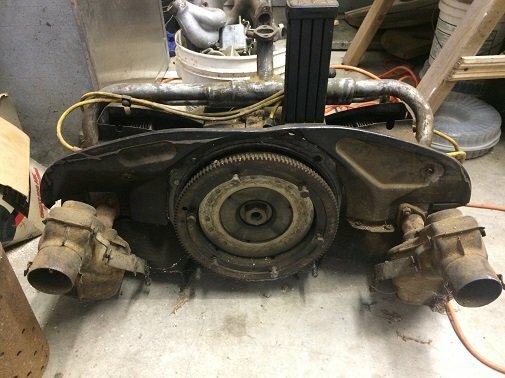 If you're interested in restoring an old Beetle, the easiest route is to find one with a decent shell and pan, with no rot in the heater channels. It's very likely that the ones you see for sale have already been partially or totally restored. But if you find one that is less than pristine, make an honest evaluation of both the car and your skills. For a long-term automotive project to be completed, you have to have a proper mindset. 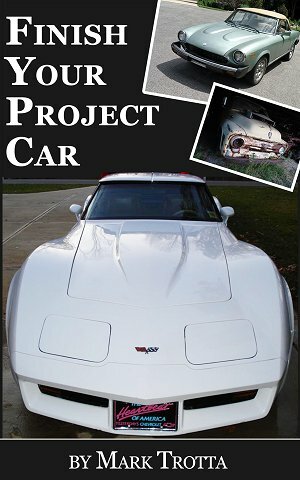 My E-book offers practical advice on how to get on track - and stay on track with your project car. 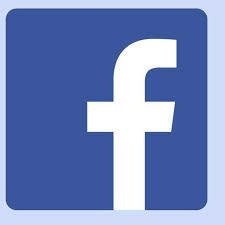 Read and benefit from my 30+ years of garage projects and old car restorations. Topics include planning, ordering parts, overcoming obstacles, and staying motivated.